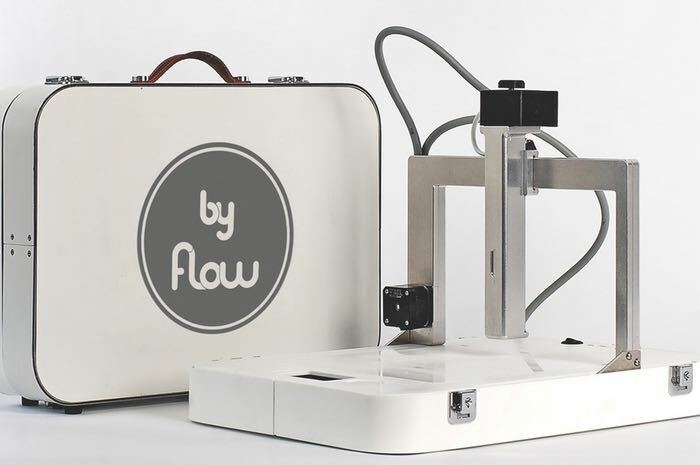 Flow has this week unveiled a new portable 3D printer they have created that is capable of printing in different printing filament materials yet still provides high-quality printing with a set-up time of just 20 seconds and a first print time of just 2 minutes. The Focus 3D printer has been developed to provide a compact, foldable, lightweight yet durable 3D printer that can be used by beginners or those a little more experienced with 3D printing. “We have worked with an assortment of 3D printers in the FabLab in Maastricht, and we were unhappy with all of them. We wanted to make a 3D printer that has all qualities which we would love to see in a 3D printer. The Focus was the result. The Focus uses magnets to aid an easy extruder switch. The different extruder types make it possible to print with different materials like PLA, ABS, wood, bio-rubber, nylon, bronze, ceramic, silicon as well as edible materials such as chocolate. So if you think Focus portable 3D printer is something you could benefit from, visit the Kickstarter website now to make a pledge and help Focus portable 3D printer become a reality.